1.2 million cu.m, up 12% on the same period in 2010. 32% at 464,000 cu.m in the first 6 months of this year. falling relative to Russia during 2011. Finland, the Baltic countries and Italy. slipped from 28% to 12%. the year says an analyst. shipment from China to the UK for August was cancelled. demand for some weeks to come. prices for onward sales in the UK have been weakening. 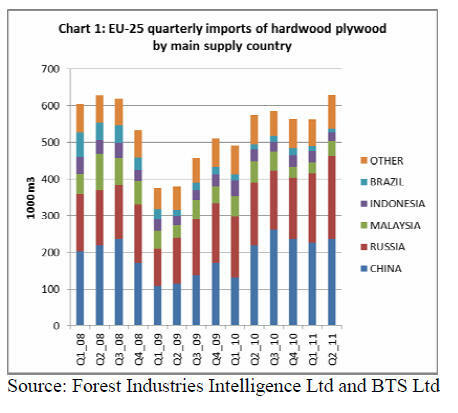 escalating costs of poplar veneer in China. margin that amply reflects the higher quality on offer. in the last quarter of the year. significantly in July and August. debt crises that is now threatening to engulf Greece. euro-region and from 1.3% to 0.1% in Germany. billion from higher risk on sovereign debt. sector over the next 20 years. considers the impact of various policy scenarios. 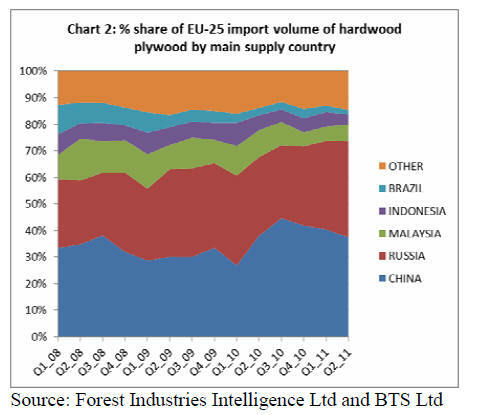 scenarios, a net exporter of wood and forest products. 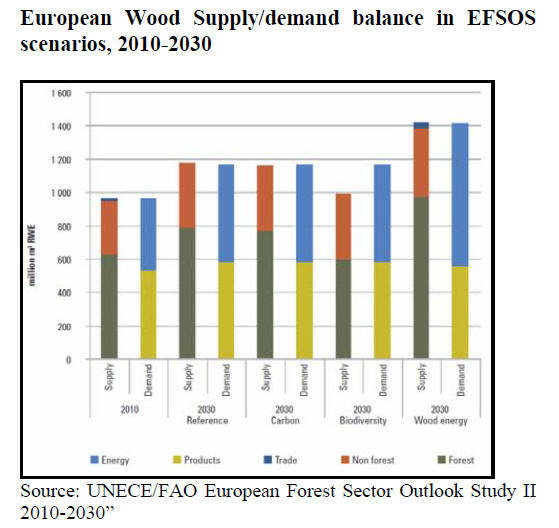 cu.m RWE in 2010 to 1180 million cu.m RWE in 2030.
of wood for products and energy. conservation management and short-rotation coppice. 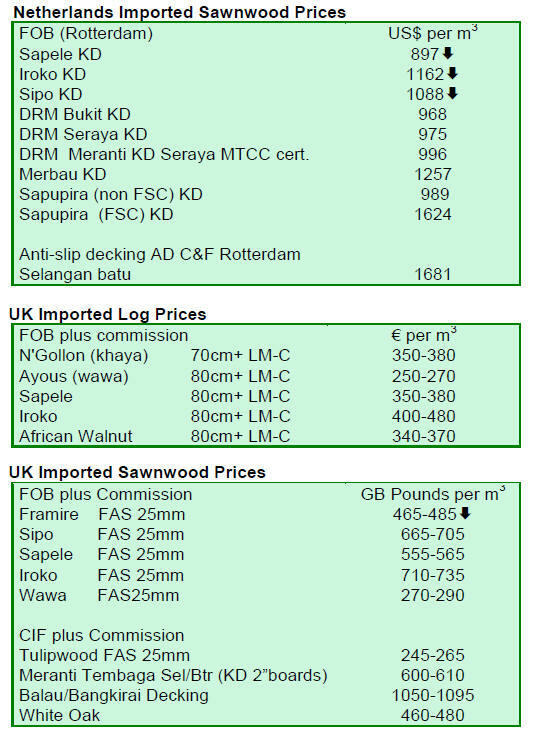 years through strong mobilisation of all types of wood. and reduces the share of old stands. meet the renewable energy targets.